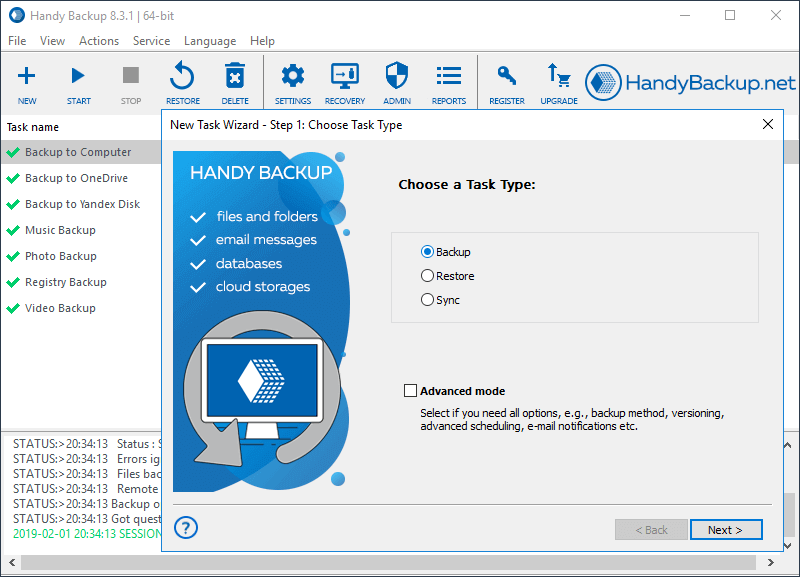 Handy Backup Server Network is a full-featured backup solution for centralized network-level data protection. It lets you automatically back up and recover files, folders, emails (via IMAP protocol) and other important data stored on network computers. Besides "common" workstation data such as files, projects and personal emails, , it also lets you creating hard drive snapshots, backing up databases and server applications of different types, including MySQL, MariaDB, Lotus Notes/Domino, IBM DB2, PostgreSQL, MS SQL Server, MS Exchange Server, Oracle, and other. It creates backups in hot mode, without interrupting any job in a system, so you can safely use this software on production servers. There are the three types of supported operations: backup, recovery and synchronization. A user controls all actions from a single management panel with a comprehensible, easy-to-use GUI, allowing assigning all backup-related tasks to one person (network administrator) and saving time and resources from teaching other employees to back up their data themselves. 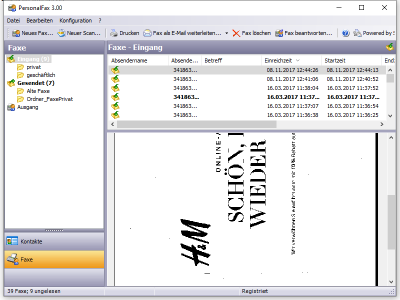 An administrator can also made a remote recovery for any data on any machine in a network. Efficient backup techniques include the options of scheduling, compression, encryption, versioning, incremental, differential and mixed backup, and many other features. While the most frequent scenario is to store data to a central backup server, the solution can also save data to any other local or remote locations, such as FTP, FTPS, SFTP, WebDAV or S3 cloud, Dropbox, OneDrive (with OneDrive for Business), Google Drive, dedicated HBDrive storage and to some other places. The program works under Windows 10/8/7/Vista and Windows Server 2016/2012/2008, as well as under Ubuntu Linux 16.04/14.04 and its clones. It fully supports Unicode, has a multiple language GUI, and provides a lot of advanced control and administration features, such as logging, task reporting, e-mail notifications, command line interface, and other.